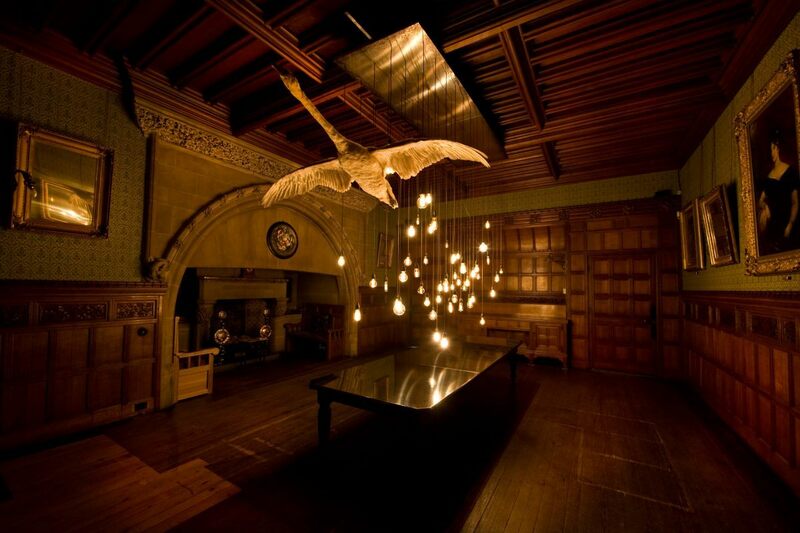 A&H worked as a consultant in partnership with the National Trust on LUX at Cragside in Morpeth, Northumberland. 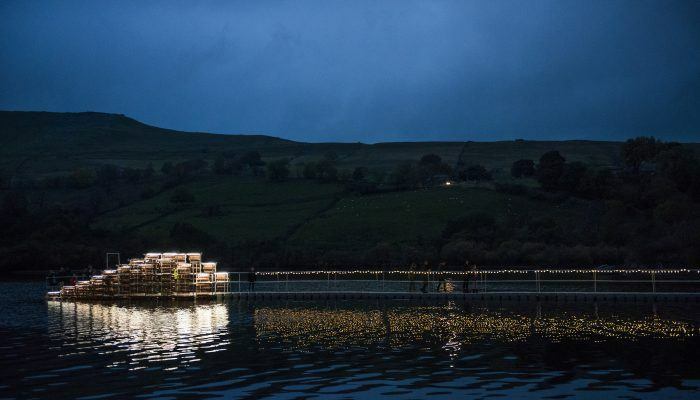 Following a pilot art exhibition Building Dreams in 2013, the National Trust (NT) team wanted to build on this and develop an exhibition focused around the 100th anniversary of Joseph Swan’s death. Joseph Swan and William Armstrong (the owner of Cragside) worked closely on the development for domestic installation of the incandescent light bulb. The brief to artists was about light, illumination, invention and innovation. Building Dreams 2013 was an initial step into contemporary programming; although A&H had delivered a project in 2006 called Inside Out that addressed the issue of Cragside House being closed for refurbishment. The ambition was to reveal our history in different ways and felt that as Inside Out had achieved this aim, revisiting working with artists would achieve this objective. 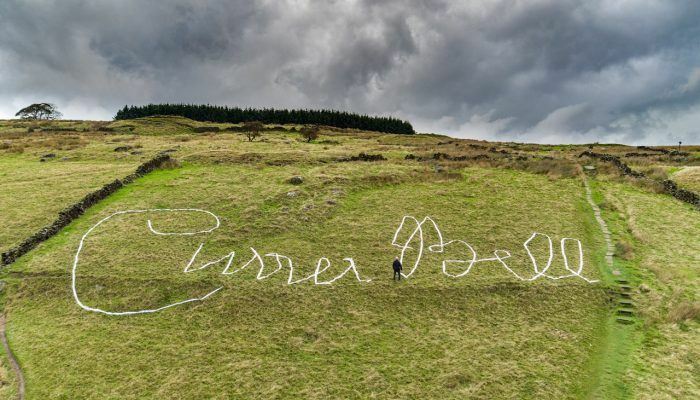 To be part of the National Trust’s national contemporary programme, Trust New Art. Arts&Heritage worked with the NT team to develop an artist brief and to identify the long list of artists. In 2013 we targeted regional artists for Building Dreams, but for LUX we extended this to cover the whole Northern area. This was deliberate; we did not have big budgets and as Cragside is in a very rural part of Northumberland the costs of travel are high and mostly reliant on having a car. We knew that the budget had to cover all these costs and so opened up the opportunity to artists in the North East, North West and Yorkshire. Artists visited the site on specific days and toured the house and grounds before submitting initial ideas. We learnt from the previous project that it was very time consuming to respond individually to artists and so we needed to set aside dedicated site visit days. Artists had a month to respond to the site and brief. From the initial ideas the selection panel shortlisted 10 artists to work up final proposals. It was important that the selection panel comprised of representatives from various operations from the estate: the house manager, the interpretation manager, the grounds manager as well as a representative from Northumberland County Council. This encouraged ownership of the project and communication was key to the project’s success. From these proposals 7 artists were selected; 5 were new commissions and 2 hired works. 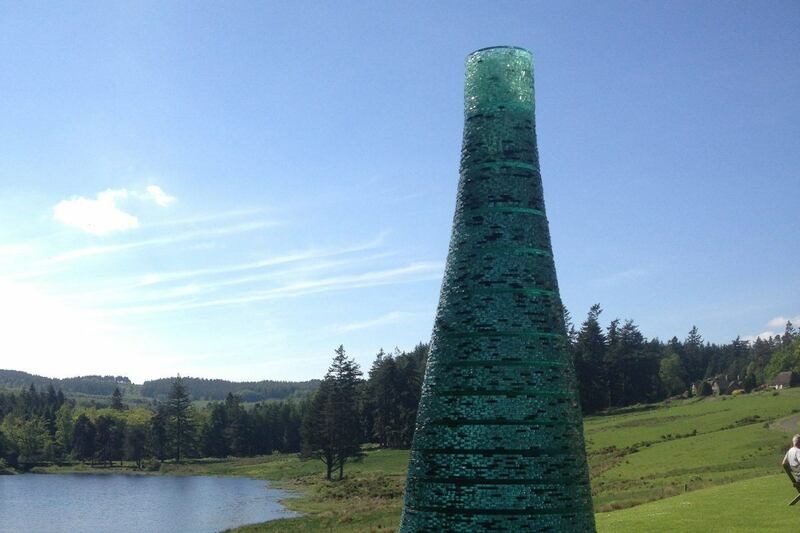 The sites for the installations were chosen by the Cragside team – chosen for their importance in telling the Cragside story as well as attracting visitors to a particular place. We also stressed that we would be open to any other suggestions by artists so that we did not close any options down. We had one particular location that required attention; a significant and highly regarded chenille carpet within the large and important dining room within the House was removed for restoration. This left an empty room that we wanted to transform during the restoration period. We offered this location to an artist rather than develop an interpretation panel. The budget was £50,000 in total. Each artist received a commission fee of between £5000- £10,000. This included the design, making, installing and de-installation of the work. It also included any maintenance visits that might have to be done throughout the duration of the project. Ownership of the works revert to the artist after the exhibition ends. It is worth noting that most of them will have been outside for a length of time and will have been changed by weather conditions. 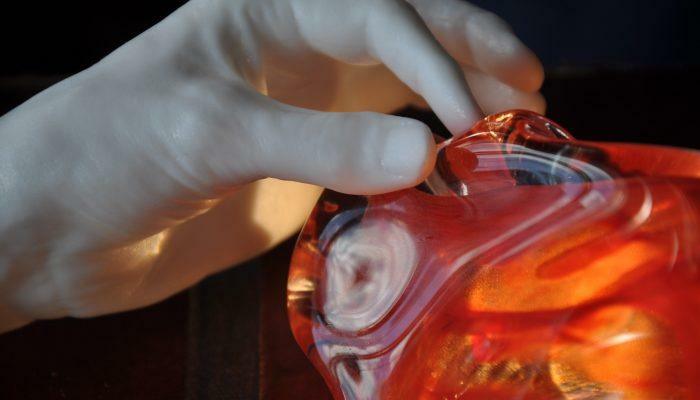 Some artists secured other financial help from other sources such as the National Glass Centre in Sunderland (Andrew Burton, Light Vessel). 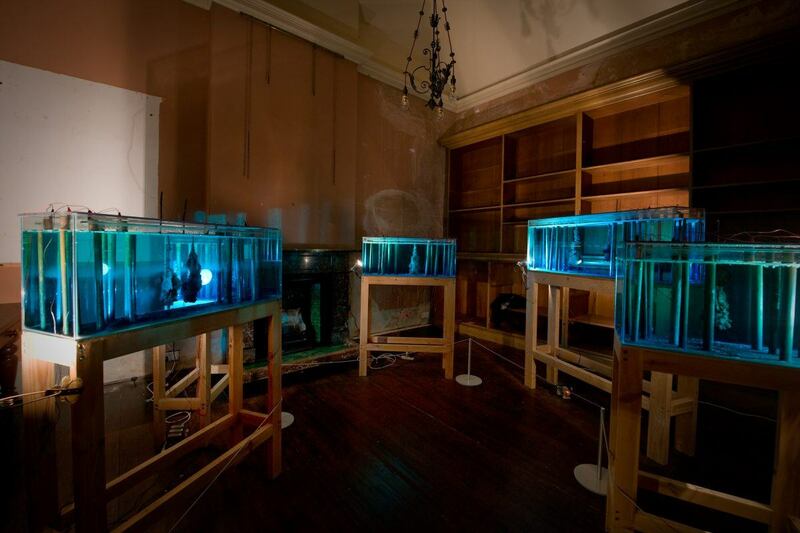 Catherine Bertola is a Newcastle based artist whose work involves drawings, objects and installations that respond directly to a place and its history. Focusing on the emphasis Victorian landowners placed upon the pursuit of perfection, the artist has turned her attention to how the Formal Garden represents the lengths William Armstrong went to in order to control and harness nature.